With 2016 rapidly approaching, it’s time to take stock of some of the most popular trends that occurred in 2015. During the past year, the tech world saw the emergence and popularization of new innovations like wireless charging for electronic devices, improved and more efficient versions of electric and self-driving cars, and the release of new smart appliances that can be controlled remotely via the Internet. 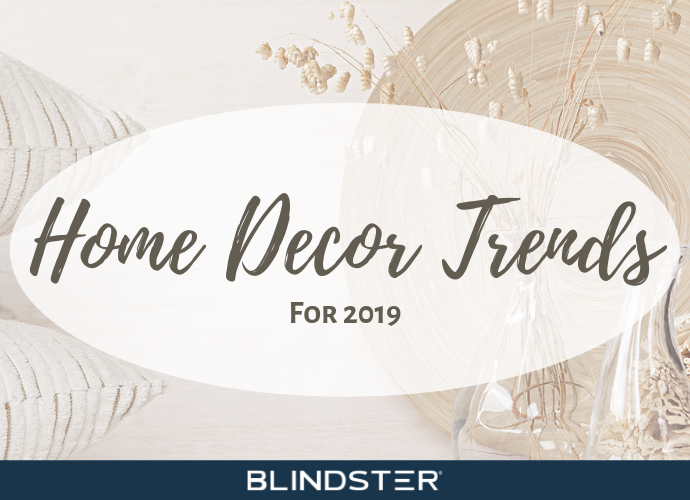 Trends in 2015 weren’t just limited to the tech industry, as home décor continued to change and evolve over the course of the year. 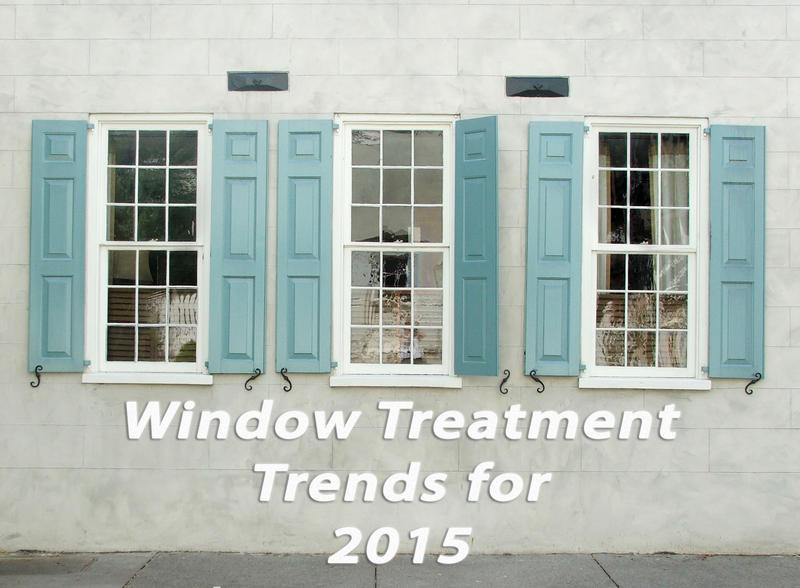 One aspect of home design that saw major changes is window treatments. Now that consumers and homeowners have more options than ever when it comes to buying window treatments and window coverings, many new trends have emerged that are well on their way to becoming even more popular throughout the foreseeable future. As people’s lives get busier and more connected, the need to de-stress and relax—especially at home—becomes more and more important. One of the most effective ways to achieve calmness and relaxation is by decorating your home in colors designed to create feelings of peacefulness and serenity. It’s no surprise that window coverings that feature calming colors, such as blues, grays, and greens, are becoming more and more popular. Simple patterns and matte finishes are also in high demand, with many homeowners preferring a “less is more” approach when it comes to home design in 2015. Privacy—both in a physical and digital sense—was at the forefront of everyone’s attention in 2015. There were numerous how-to articles and guides published in 2015 to help homeowner’s increase their privacy online, but it’s important to feel safe and secure in your own home as well. Window treatments designed to enhance privacy have been trending in 2015 due to these concerns, and they’re highly effective at making every room in your home a place where you can comfortably relax and decompress after a long day. In addition, privacy shades are also in high demand among homeowners who live in neighborhoods where houses are built closely together or among apartment owners where windows and individual units may be in extremely close proximity. The recent push for businesses, governments, and families to “go green” has never been stronger or more popular than in 2015. A big part of this push has caused many people to reexamine things in their daily lives that they take for granted, such as the food they eat, the clothes they wear, and the cars they drive. One aspect of the eco-friendly movement that’s gaining traction is natural shades made from organic materials like wood and bamboo. These shades are manufactured using processes that help preserve the environment while also bringing a touch of natural beauty and charm to homes. In addition to their eco-friendly manufacturing process, natural shades are also highly effective at blocking out sunlight and increasing privacy—and their natural wood grain patterns can bring a unique elegance to your windows. More and more homeowners are turning to eco-friendly solutions for the heat, intense sunlight, and glare that are constant factors during the spring and summer in their outdoor areas. Rather than cranking up the air conditioner or running multiple fans, they’re installing exterior shades to help block out the sun’s harmful rays, which in turn protects their furniture, their skin, and even their eyes—while also significantly reducing the ambient temperature. In addition to keeping outdoor areas cool and glare-free, exterior shades also increase privacy while maintaining a clear view of the outdoors. These shades are highly versatile and can be installed in homes in a variety of locations and climates, as they’re designed to withstand years of heavy rainfall, high winds, constant heat and sun exposure, and more. When most homeowners make a list of potential dangers around the house for small children or pets, their window treatments rarely make the cut. Unfortunately, traditional cords for many older shades and blinds pose significant risks to small children and animals. In recent years, window treatment manufacturers have focused more and more on creating products that have built-in safety designs that help reduce the risk that shades and blinds can pose. At Blindster, we’re dedicated to making sure our products are as safe as possible for all members of your family—and that’s why we offer free cord cleats with all blind or shade purchases. As part of the eco-friendly movement, many homeowners are attempting to reduce their dependence on artificial lighting and air conditioning by allowing natural sunlight to both light and warm their homes. One of the best options for taking full advantage of the light and warmth of the sun is to install sheer shades on your windows. These window coverings provide privacy, while still allowing as much sunlight as possible into your home. Sheer shades are perfect for homeowners who live in cold climates or in areas of the country with mild summers, as the warm sunlight can help regulate the home’s temperature and reduce the need to run the air conditioner or furnace. 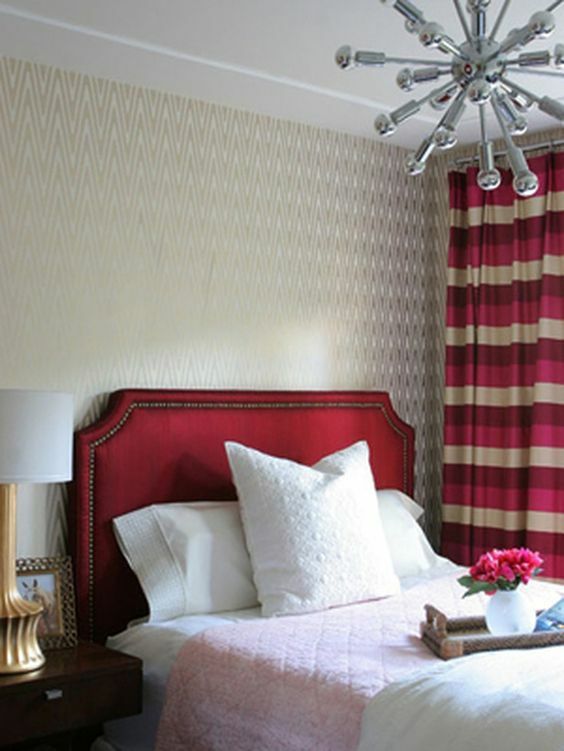 Versatility is a major selling point for home furnishings and design in 2015, and there’s no window treatment that offers more versatility and options than top-down/bottom-up shades. By allowing homeowners the opportunity to change the height and orientation of their shades from both the bottom and the top, these window coverings give you the ultimate control over every window in your home. Raise the shades from the bottom for a traditional look, or leave the bottom closed and with the top lowered to let in sunlight while also preserving your privacy. In rooms with multiple windows, you can change the height of the top and bottom of every shade, which can turn your windows into a conversation piece while dramatically enhancing the lighting at all hours of the day. Find your favorite treatment here!